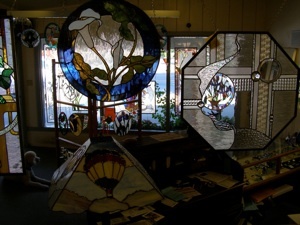 Russian River GLASS IMAGES is a unique STAINED GLASS ART studio / gallery in the town of GUERNEVILLE nestled in the heart of the Wine Country and Redwood Empire of Sonoma County, California just 70 miles North of San Francisco. I am REBECCA LICHAU owner and resident artist. 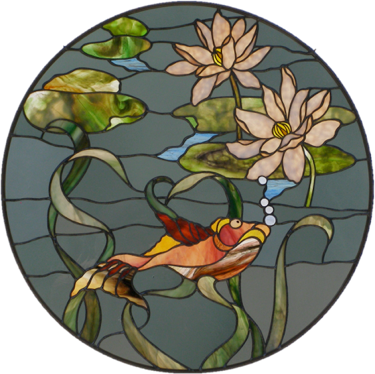 I have been creating beautiful original stained glass windows, doors, lamps and art pieces as well as offering stained glass repair and restoration for residences, businesses and churches for over 30 years. Browse through the pages of this website to see just a few examples of my work. look on the ‘find me / ordering’ page and we’ll meet.